When I was little I thought my mom had been a Rockette. I was proud of this fact. I told people. Many years later I found out that this wasn’t true. Why had I thought she had been a Rockette? Where did I get that from? Likely some overheard conversation from the backseat. Like a strange game of “Telephone” where by the time the facts made it back to me and went through my 6 year old mind filter, my mom was a full on leg-kicking, hot pants wearing Rockette. Well, she was a lot of rad things, but a Rockette she was not. There is another story that has changed over the years, but has at least some degree of truth to it, even if it was just the fact that she was at the concert. Apparently my mom in the early 70′s saw the Beach Boys. First it was just with a boyfriend. The said boyfriend got her near the stage, told them it was her birthday and that her name was Barbara so the Beach Boys all came around her singing Barbaran. Later this story morphed into the fact she abandoned her boyfriend that night and was on the shoulders of a Hell’s Angels guard while the Beach Boys serenaded her. Oh well, I will never really know what happened. 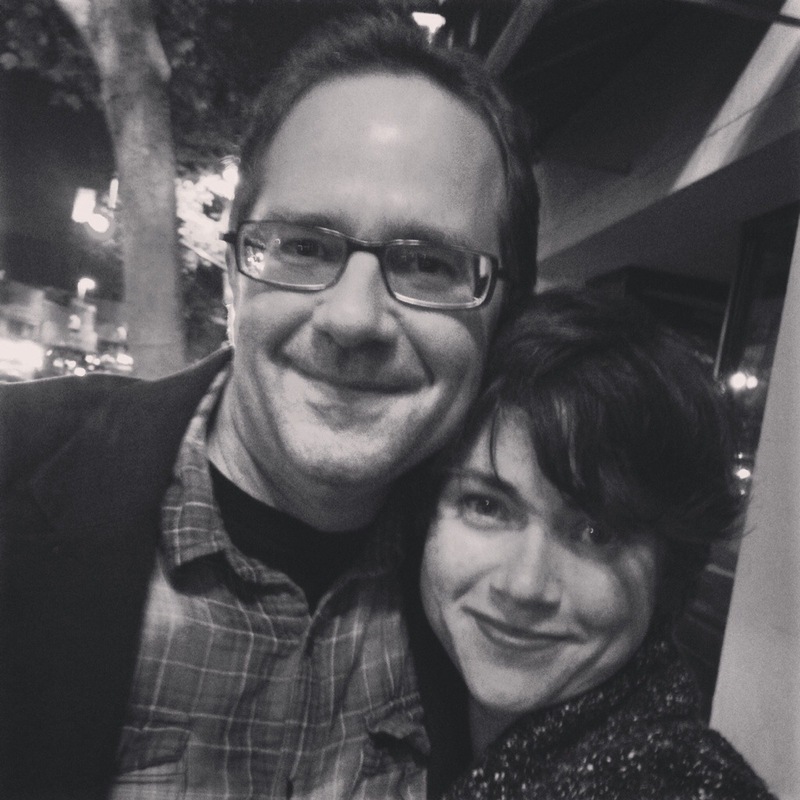 Last week Steve and I went on a date. It was the first real date in a long, long time. 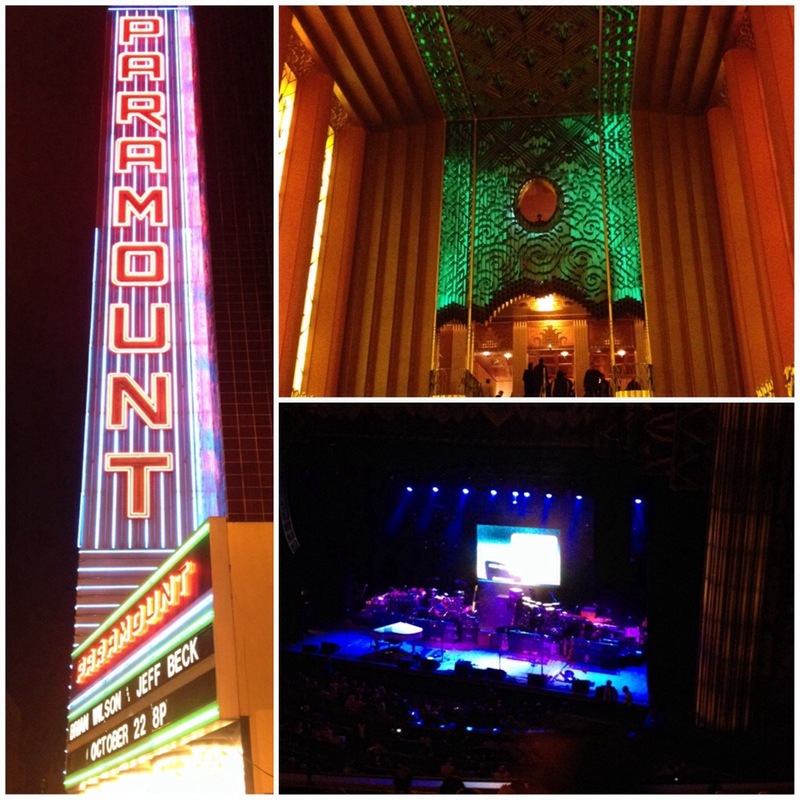 We went to see Brian Wilson and Jeff Beck play at the Paramount Theater in Oakland. While I heard Brian Wilson and his band play song after song which had been so woven through my childhood, floods of memories, I guess both real and imagined, came rushing in. This was overwhelming at points and I found myself crying. This would seem counter productive to the purpose of a date, but what actually happened is Steve and I sat there, enjoying our time together and I just realized we have been through so much the past 5 years. My mom dying, his father aging, our work, the raising of our girls, a new baby. Time just goes so, so fast. Sometimes so fast that we don’t create moments to sit together and just be. We enjoy our life, we enjoy how active it is, we enjoy our family, but sometimes it goes by in a big whirl. Maybe sometimes in the rush you can start thinking the person you are with is actually a Rockette. Maybe sometimes you need to slow it down and actually listen to what the truth is. This post was inspired by How About We. A new dating service for couples. You sign up for a membership and have a HUGE array of local dates to choose from. Everything from concert tickets and dinners out, to pickling classes and walking tours. Many of the dates will be deeply discounted and you get one free date a month with your membership. The next date Steve and I will go on will be the Bowling and Brunch in the Mission. How About We is available in New York, Chicago, Seattle and the Bay Area. If you are in those areas, sign up. A three month membership is only $50 and if you are like me and need a little date night inspiration, this is perfect. The free date every month will pretty much cover the cost of the membership and you will be inspired to get off your couch and out doing something fun a few times month. We signed up for How About We too!! They have such awesome offers. Kinda bummed we missed one that was for Salsa lessons… It’s cool that there’s a “dating” website for couples. Your night sounds wonderful. Such a cute picture of you two.